In many instances, when a New Jersey driver is stopped and arrested on charges of the traffic offense driving while intoxicated, it’s not just the DWI charges that will be a problem. Depending on the circumstances, a driver might also be confronted with charges for what happened while he or she was on the road. That could include any number of things. One of the most frequent charges a driver who has been arrested for DWI will have added is reckless driving. If a driver is convicted of both DWI and reckless driving, the penalties can accumulate to a significant amount of money in fines, surcharges and even jail time. These penalties are even worse if it’s not the first time a driver has been stopped and arrested for DWI. If a driver drives in a way that is perceived as heedlessly and disregards the safety and rights of others endangering persons and property, they will be charged with reckless driving. In other words, if a person is believed to be aware that their driving puts people and property at risk, it’s enough for a charge of reckless driving. In many cases, it’s reckless driving that sparks a law enforcement officer to stop a vehicle and begin an investigation for drunk driving. 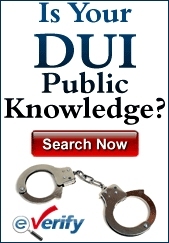 This is a common charge accompanying DWI. When there is a charge and conviction for reckless driving, the driver will face various penalties. These penalties are less than what a person who is charged with DWI will have to deal with. A person can be jailed for as much as 60 days. There could be fines for between $50 and $200 if it is the first conviction for reckless driving. For subsequent convictions, there could be 90 days in jail and fines for between $100 and $500. Apart from the jail time, the fines might not seem to be that onerous. However, if they’re combined with a DWI conviction, any driver would be wise to try and avoid the accumulation of charges and penalties. A driver who is convicted of a first offense DWI with a blood alcohol content of between 0.08% and 0.10% could be jailed for 30 days. Fines will include $75 for the Neighborhood Services Fund; $100 each to the Alcohol Education and Rehabilitation Fund (AERF) and the drunk driving fund; $230 will go to the Intoxicated Driver Resource Center (IDRC); and there will be a surcharge of $1,000 per year for three years. With a higher BAC or second and third offenses for DWI, the penalties grow much worse. Reckless driving and DWI charges can add up to a very expensive proposition. 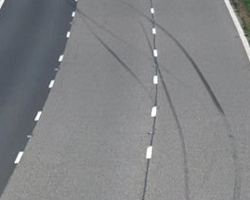 There is frequently confusion between careless driving and reckless driving. While they do have similarities, there’s a major difference in how the driver’s behavior is perceived and analyzed. If a driver commits a series of dangerous acts while driving and places other people and property in jeopardy, the decision as to whether it constitutes reckless driving or careless driving depends on how serious it is and the intention and knowledge on the part of the driver that what he or she was doing was dangerous and unlawful. In short, reckless driving implies that the driver knew what he or she was doing could be dangerous to people and property. Careless driving means that the driver was committing risky acts and putting people and property at risk, but was doing so out of ignorance, not aware that these acts while driving could be considered dangerous. Drivers would be well-advised not to drive recklessly to avoid the potential injuries and damage it could cause. Driving recklessly is a known precursor to a DWI investigation. People might be under the impression that law enforcement can stop a vehicle on the road and investigate a possible DWI for any reason. In truth, a law enforcement officer needs to have just cause to make a DWI stop. Even if a DWI stop is made and the driver is found to be drunk, if the stop was not made within legal parameters, the charges might be dropped. If an officer sees a vehicle making a series of dangerous lane changes, is swerving in and out of traffic, nearly causes an accident or runs off the road, this is sufficient to make the traffic stop. Those acts are reason to add a charge of reckless driving to the list and make the legal consequences all the more substantial.